So it has been quite a 24 hours ! 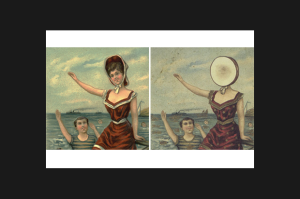 First of all last night it was announced Neutral Milk Hotel were to reform and play some shows. Amazingly many of you remembered I had promised that should such a thing ever happen I would do my best to bring them to Edinburgh / Scotland given they are responsible for our biggest ever selling album. I was disappointed Jeff didn’t play up here the last time he was over but a friend of his did come in the shop and give me contact details so yes I will see what can be done. 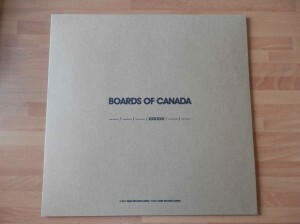 I came in this morning to find a mailer waiting for me in the post and as you will all now know by now it was the Boards Of Canada 12″. Much more on its whereabouts and what we will be doing for the album release tomorrow. Finally I did put a clue up on the image slider of the Avalanche shop a couple of days ago but I was surprised how many people picked up on it. 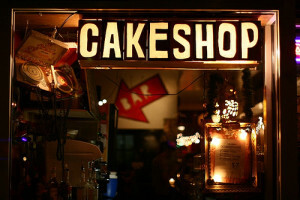 Avalanche will indeed be working with Cake Shop NYC on several projects starting off with a split single. We will soon have a presence in New York and the Cake Shop in Edinburgh. An official press release is to follow. I had to answer several calls about it today so given all the other news it seemed appropriate to mention it now given the email confirming our initial plans arrived late this afternoon. It goes without saying what an amazing partnership this will be and the benefits that will follow .